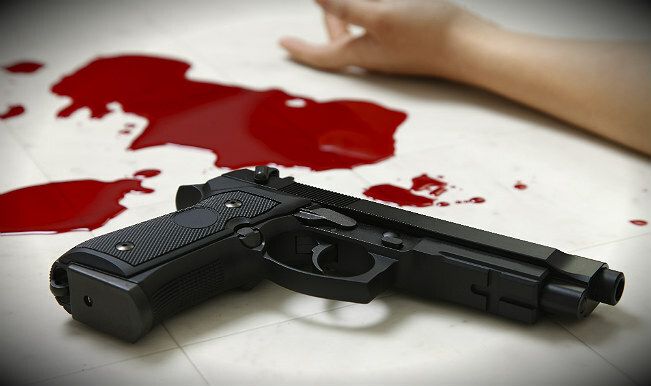 Santipur, Sept. 2: A youth was shot dead at Santipur Malanchapara on Saturday night. Guddu Sheikh (26), a Trinamul activist with gunshot injuries on his stomach was rushed to Saktinagar district hospital in Krishnanagar where he was pronounced brought dead. Police within an hour detained two youths, Sukanta Debnath and Saheb Ali Karikar with firearms, as the suspected killers with the help of local people. Saheb is victim’s close relative. Police said the deceased youth had criminal background. He was wanted in a number of cases and absconding. Police said, the incident occurred at about 8.30pm at the Malancha sports ground. Two youths fired at Guddu from close range and tried to escape. However, they were caught a little away being chased by local villagers. The sleuths have recovered two fire arms from the youths. Senior police officer including SDPO Ranaghat Amandeep rushed to the spot after the incident. Preliminary investigation revealed that the murder is an outcome of internal rivalry among the miscreants.